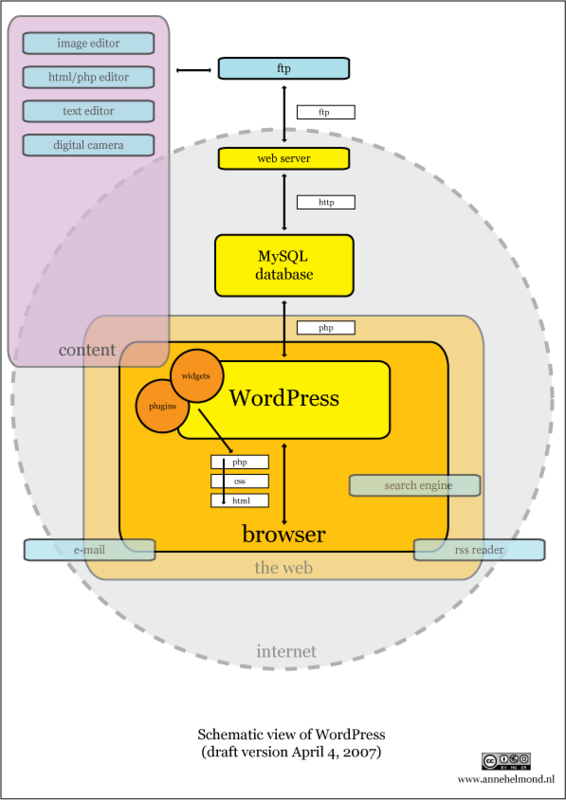 I am working on a schematic overview of the various layers of WordPress. My main focus is the hierarchy of the various layers, how they communicate and how they fit into the whole picture of the internet. Here are the first draft I made in February and my current drafts from April. I am constantly working on it, making adjustments and improvements so comments are very welcome. Nice graph and definitely an improvement. Just wondering about the e-mail connection, and also perhaps the commenting part of the sofware. Nice comments plugin you got by the way! The e-mail connection is indeed not displayed correctly, it should be more like RSS that’s either a part of your browser and the web (Hotmail/Gmail) or used offline (Outlook Express/Thunderbird). I am also going to add external sources of content such as digital camera’s, mobile phones etc. 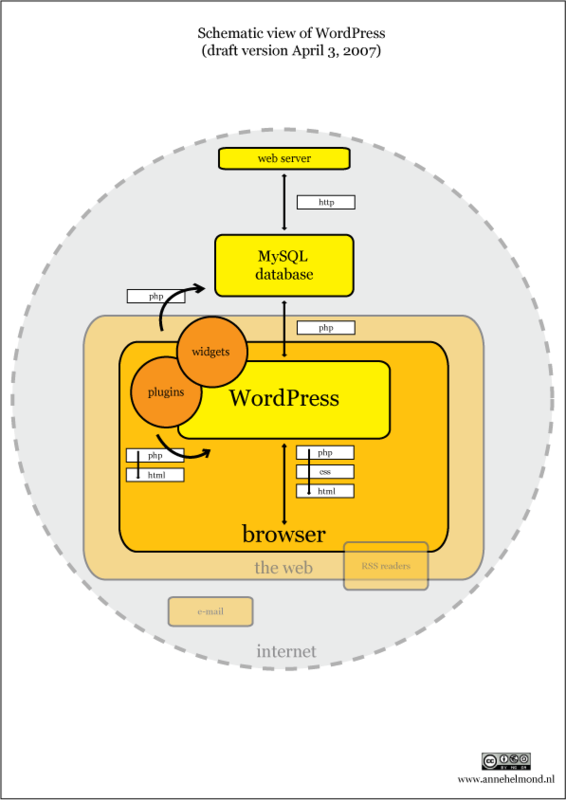 because not all of the blog content originates within the browser. Do you mean the “Subscribe to comments” plugin? 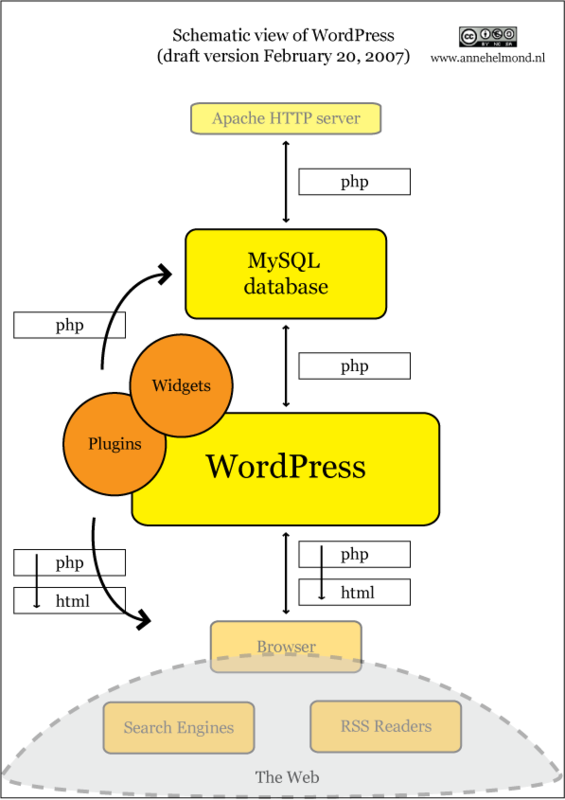 Or my CoComments plugin? I like them both! Hi–I am very interested in these and thanks for putting them together–are these the final versions, and/or are there other resources out there in this vein?